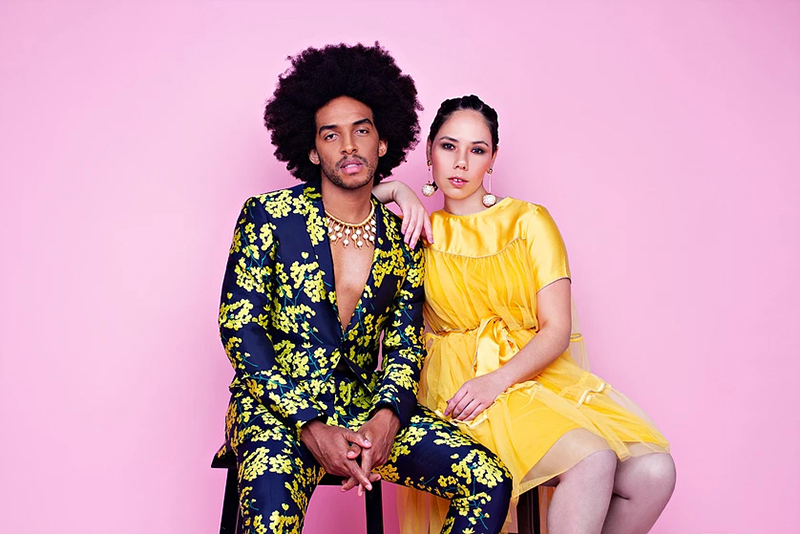 Bermudian music duo Gianluca Gibbons and Hannah Eggen of soul/pop outfit HEЯITAGE have released the music video of their new hit single “Fashion Slayer”. To Gibbons and Eggen, fashion is about more than just sharp-looking clothes – fashion means presentation, self-affirmation, creativity, and a form of artistic expression. While the members of HEЯITAGE sing about some of their favorite brands in “Fashion Slayer,” they also express that the best fashion is whatever makes the wearer feel empowered. “Fashion Slayer” is the lead single from The Color Blue, their latest full-length album due to release later this year, and a perfect example of the spell that Gibbons and Eggen cast when they trade verses. The pop/R&B track is propelled by a scratchy funk guitar and highlighted by an elastic bass line, and the result is a track that celebrates fashion in its many forms: haute couture, street style, haphazard, eclectic, and more. Gibbons and Eggen may have gotten their threads in Los Angeles, but the duo said their attitudes about fashion were formed on their home island, with the entertainers noting that Bermudians are well known for their sense of style. The video is directed by Allison A. Waite, and served as an opportunity for the members of HEЯITAGE to raid the closet for their best and most eye-catching threads: just for starters, a gold sequined dress plus vintage jewelry and lemon-yellow pumps for Eggen, and a leopard-print top and a cream-colored sport jacket for Gibbons. Recently the soul/pop duo were selected as semi-finalists for the 2018 International Songwriting Competition in three categories for their first single, “Red Lips,” HEЯITAGE is in august company, as only 10% of the 19,000 entrants move forward as semi-finalists. The Bermudian artist/songwriters’ “Red Lips” single is also amongst one of seven finalists in the Hip Hop/R&B category of the 2018 20th Annual Great American Song Contest, which reviewed more than 1,900 songwriters from around the world. For more information on HEЯITAGE and to stream their music visit: www.htgmusic.com. The photos above are courtesy of Jerris Madison.